So, this feels a little bit summery to be going up on this fall day, but I had so much fun with the color scheme that I shall not be denied. Even if it’s cool and crisp and the leaves have already begun to turn their beautiful yellow and red colors. It’s apple pie and cinnamon weather these days, and I am utterly enjoying it. But Denise is clearly living in a warmer world with her freckles and her florals. I’ve discovered an unexpected love of abstract florals which used on Denise. I think her pleated skirts look fun with the floral designs decorating them. The blouses are all meant to match with the different skirts. 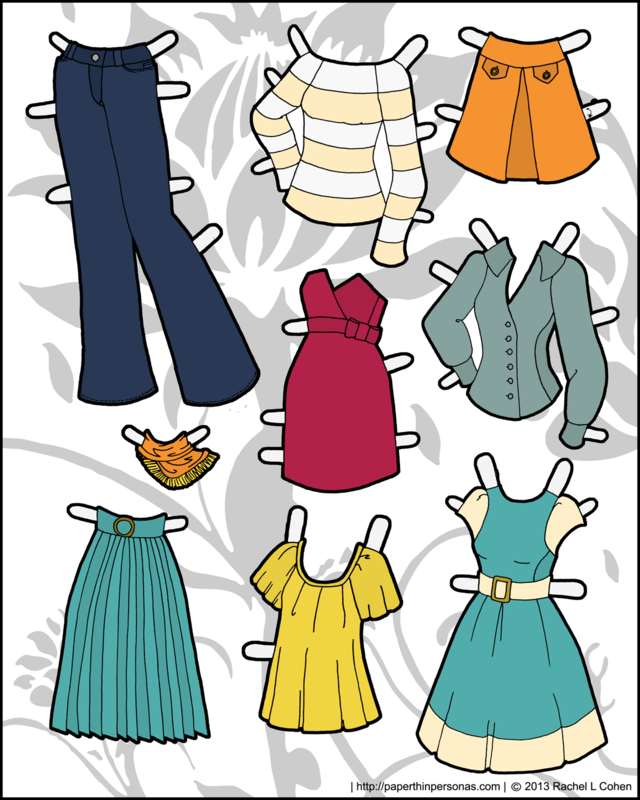 I tend to think of Denise as being friends with my old printable paper dolls Constance and Prudence, there is something similarly vintage about her style and sensibility. 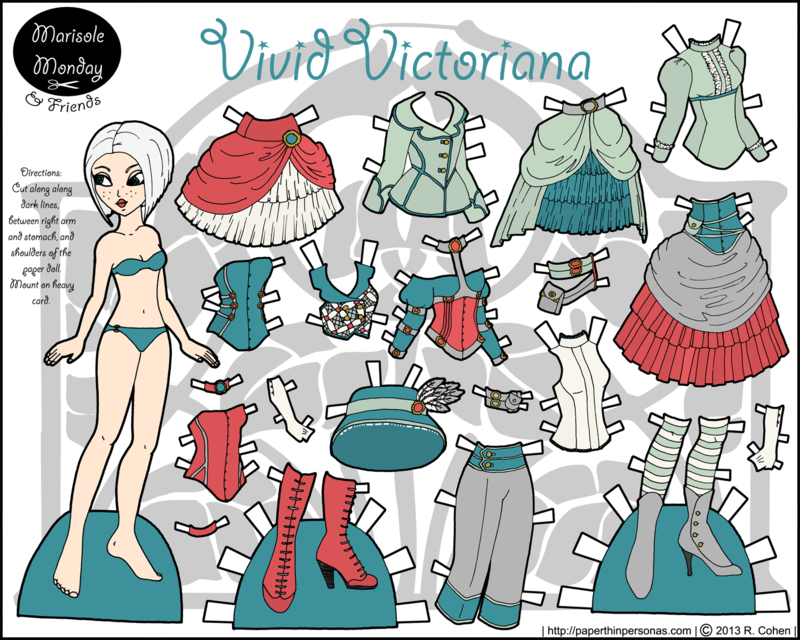 Here’s an amazing fact… today’s printable paper dolls is number fifty in all of my Pixie paper dolls. I feel like I should do something to celebrate, but I don’t know what. Ideas from the audience? Comment below. The first preview from the my sketchbook in a while. As usual, the photos are poorly taken by my iPhone, but the advantage of the sketchbook is that it doesn’t move or complain about being photographed. So, sometimes I draw fairy things… I’ve had a few request for this set over the last few months and I finally decided to sit down and go for it. The fairy mix and match wardrobe should be up really soon…. possibly as the next set of Marisole Monday posts. I don’t know yet, it just got scanned yesterday. Fantasy dressed for Marisole Monday and Friends. I love the elaborate hairstyle, it was inspired by my Africa Elf paper doll from so long ago. Remember the new curvy printable paper doll series I mentioned a while ago? 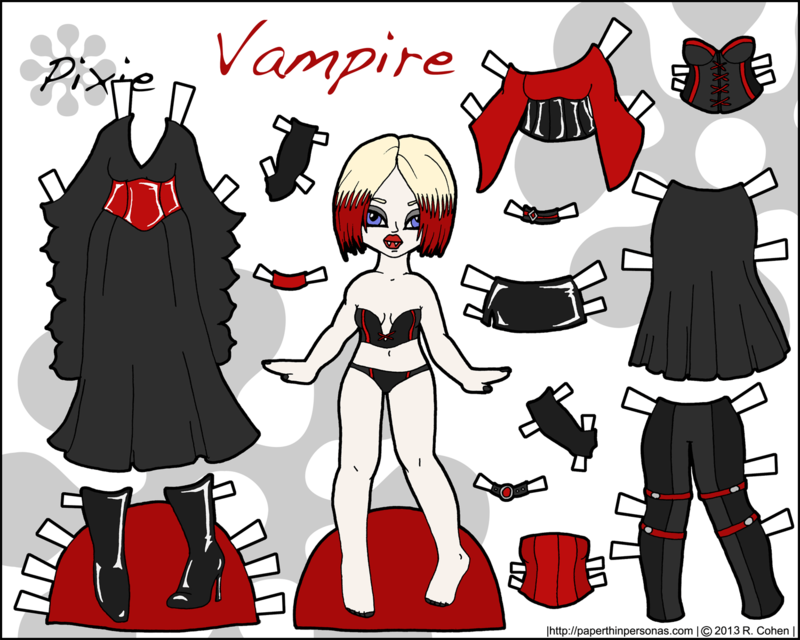 Well… here’s some clothing for her in the future. An Alice in Wonderland inspired set of outfits. 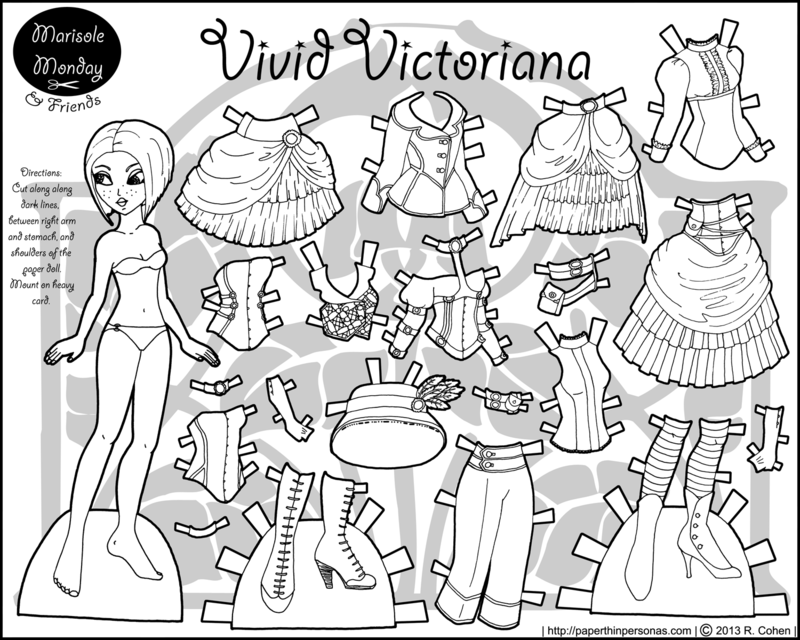 Do any of these potential paper doll sets excite you? I’m excited about the fairies, personally. 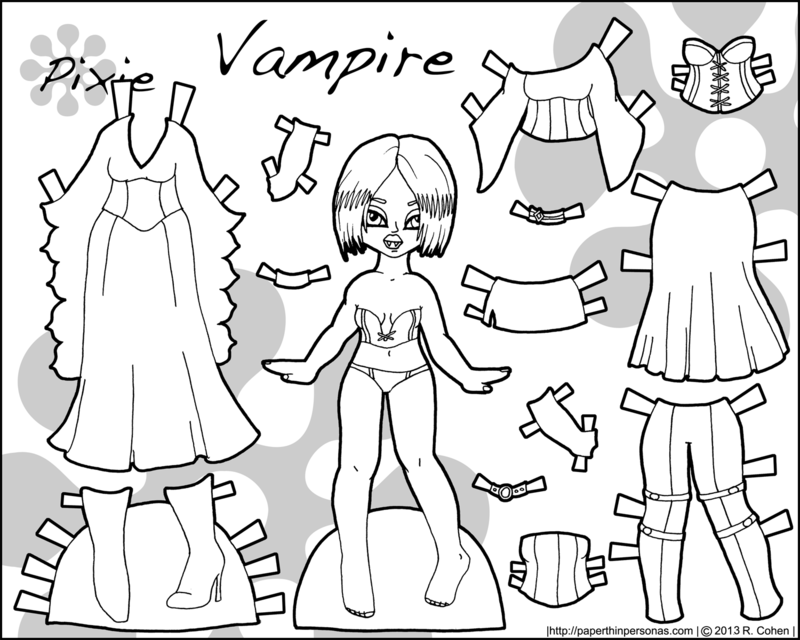 Preview of a paper doll set I’m working on still. I showed off the dolls a little while ago. The series is going to be named Poppet once it’s done, though I probably won’t get it up until November. Well, it’s been a while since I did a Puck post. I did some more modern clothes for Puck, though I confess to finding boys clothing pretty boring. I’m trying not to find it boring, but I always do. 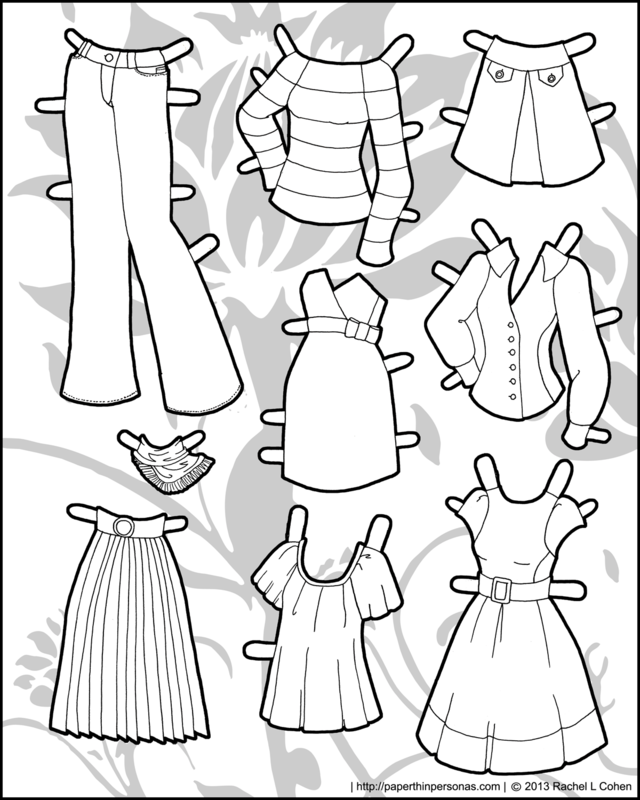 And to go with the new Pucks, here are a few sets of clothing for a few Pixies. I’ve been playing around with pattern again, as you can see. So, nothing to exciting here.